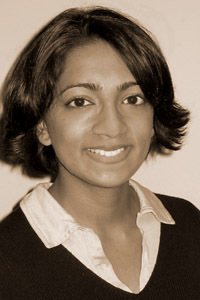 Dilruba Ahmed is the author of Dhaka Dust, winner of the 2010 Katharine Bakeless Nason Prize for poetry, and forthcoming from Graywolf in 2011. Ahmed’s work has appeared or is forthcoming in Cream City Review, New England Review, New Orleans Review, The Collagist, Drunken Boat, and Pebble Lake Review. Her poetry will also appear in the forthcoming anthology Indivisible: Contemporary South Asian American Poetry (University of Arkansas Press, 2010). She holds an MFA from Warren Wilson College, and works at the Writing Center at Villanova University.